The Chartered Institute of Securities and Investment (CISI) of the UK has signed a Memorandum of Understanding with the Tanzania Capital Markets and Securities Authority (CMSA) that will offer certification programs to capital market professionals in Tanzania. Every year, the CISI oversees more than 40,000 examinations across by candidates in more than 50 countries and, according to the acting CEO for the CMSA, Fatma Simba, the Tanzania-UK collaboration will help to further elevate Tanzania capital market professionals who participate in the CISI capital markets and financial training. 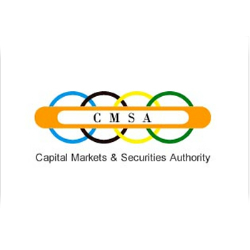 “Through this collaboration CMSA will be able to address the growing need in Tanzania for globally qualified professionals in various areas of the capital markets industry,” she said in a recent Daily News report. Hon. Simba went on to explain that, in order to most efficiently regulate the market and protect the interests of investors, it is important to encourage the licensing of capital market professionals and the partnership with CISI will give candidates in Tanzania access to one of world’s largest and most respected certifying bodies for capital market industry professionals.